A pond is a wonderful backyard feature. It offers a water source and home to wildlife including fish, insects, amphibians, and mammals while also providing a soothing, lovely, meditative focal point. 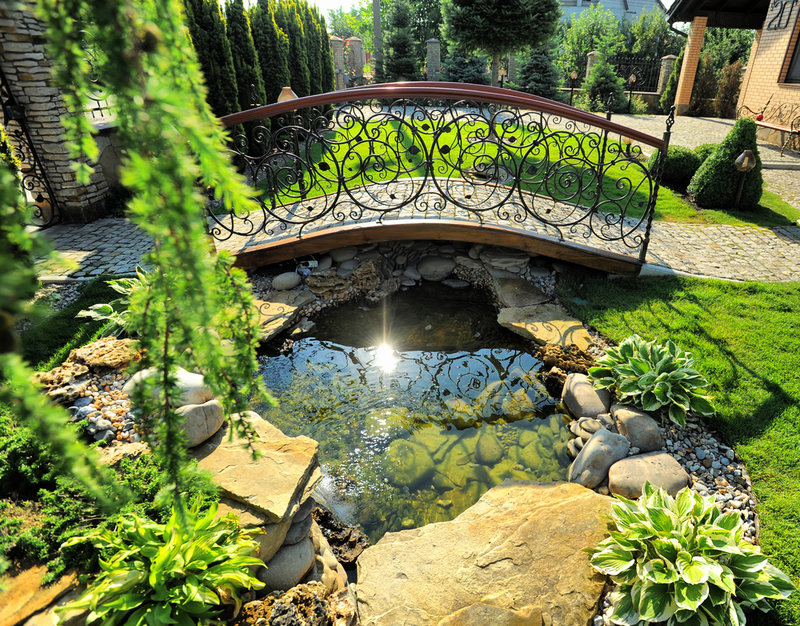 If a backyard pond is on your landscaping list, review these considerations before talking to your local excavation contractor. What Do I Need to Think About Before Installing a Backyard Pond? Look at your property imagining where the pond will go. Does it need a central location to function as the crown jewel of your backyard, or do you want it tucked away? Consider location in proximity to your home as well as your neighbors’ residences. Remember, the pond should neither overwhelm your property nor be too small. Check with your homeowner’s association, if applicable, for pond installation rules. Some homeowner’s associations prohibit pond digging or require detailed proposals before signing off. Also, check with your local municipality to obtain all the necessary permits. Alert your insurance company as well in case you need to install a fence around the pond or perform other tasks. Determine what the pond will be used for. Is it purely for aquatic plants? Will you add fish or other wildlife such as native turtles and frogs? Is the pond part of a larger water feature or other landscaped space such as a zen garden? What about using it as a natural swimming hole for yourself and your family? Think about the design and depth of your pond in light of the cost. Keep in mind the deeper and more intricate the pond, the more you will pay for excavation and landscaping. Ponds with numerous curves, for example, cost extra compared to those with relatively straight edges. And don’t forget to consider all of the accessories that contribute to successful pond completion and appearance. This includes flexible liners or perforated shells, river stones, pump repairs and replacements, aquatic plants and animals, and surrounding vegetation such as shrubs. Determine how much time you will have to spend maintaining your new backyard feature. Remember, a pump must run 24/7 to prevent mosquito infestations. In addition to maintaining the landscaping surrounding the pond, you will also need to prevent mosquitoes by treating the water with larvicide, containing vegetation around the pond, and using mosquito dunks. If your pond will feature fish, you need to keep them fed and healthy. Species such as koi eat mosquitoes for additional infestation control. Realize your pond vision with the excavation contractors at Jeff Simek Construction Company in Ogema, WI. Offering over 25 years of experience and serving residential and commercial clients in Price County and the surrounding areas, these contractors always deliver timely, budget-friendly results. Trenching, septic installation, and hauling services are also available. Call (715) 767-5295 today to schedule an excavation estimate or visit the website for service details. Like the Facebook page for professional home improvement tips.